Patients were asked to comment on the level of service they received during the Initial Assessment and their treatment. "Kathryn was exceptionally good. She explained everything in a detailed but easy to understand way." "It was a very good and rare experience to meet a person who actually acknowledged fully and empathised with my "invisible" condition of hyperacusis. Kathryn Paynter was of course able to measure scientifically my oversensitivity to noise. Many thanks to Kathryn for her kind professionalism." "Having suffered with Tinnitus for some time with nobody being able to help me, I went to The Tinnitus Clinic. I felt very well looked after and at last there seems to be a chance of either improvement or cure." "Mike was very helpful and explained things carefully so that I understood." "A very professional consultation. Kathryn explained every stage of the consultation in a very clear way. Thank you." "Initial impression of clinic and staff could not be better. Initial assessment excellent. In all a good experience." "Mark Williams was very thorough, very professional and answered all my questions"
"Overall very happy with the overall thoroughness of the initial consultation and the speediness of the availability of the goods." "Kathryn explained everything very clearly to me. She was very professional. I have also spoken on the phone with her and she has kindly made time for me and has eased my concerns by answering my questions." "Consultation with Mark Williams was very reassuring and exceedingly helpful. 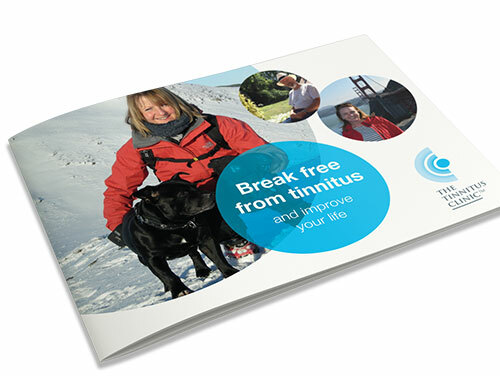 I have no doubt whatsoever that to come to The Tinnitus Clinic was the right decision." "You were all very helpful, thanks, including the assistance and advice given after the assessment." "I was very pleased with the open and honest dealings with me." "Information given clearly and questions answered comprehensively. Opportunity to ask follow-up questions by phone or email is helpful." "My assessment was very thorough, well explained and instilled me with confidence in the recommended treatment/service." "The initial assessment was informative and looking forward to starting treatment. Customer service was great, Rugina was understanding and supportive." "Everything was explained clearly so that I understood all the procedures and tests. The consultant was friendly and kind." "Rugina was very professional in her approach and very thorough. It is good to know I can ring her directly if I have any questions about the treatments." "I was extremely impressed by the overall professionalism and quality of the service I received. Mr Patel's "bedside manner" was excellent and although I was somewhat anxious/depressed before the consultancy his calm, professional and caring demeanour helped me greatly." "The service I received was, in every way, excellent." "You are doing a great job, just continue helping people." "The consultant was very professional, and gave excellent explanations of the tests, the results, and treatment options." "It was a very emotional visit because it was so good to finally talk to someone who understood what having tinnitus is like and how it can impact the person." "Impressed by the range of hearing tests. Explanations excellent. Gave me hope that I can get my life back." "For the first time in many years an audiologist listened and treated me with respect and she was very understanding." "The consultant was very informative, the information given was in layman's term, we understood everything that was said to us. When he was doing a test it was explained in detail. It was a brilliant consultation." "I am so pleased I found The Tinnitus Clinic, Rugina is a most delightful person, she is so helpful, explains everything and makes me feel relaxed. The rest of the staff at the clinic are equally wonderful, the receptionist always offers us a drink and we are made to feel so welcome. Thank you so much." "The service I have received to date has been excellent. Kathryn Paynter has been most helpful and understanding. The hearing aids have improved my hearing significantly." "I have been impressed by the professional service and treatment I have received at the clinic. Within four months there has been a huge improvement in my level of tinnitus awareness. My sleep is back to normal and the stress I suffered with the onset of the tinnitus has gone. I am very happy with the result." "Kathryn is a supreme professional in every way: meticulous, efficient, with excellent communication abilities." "The service from both reception and Mr Patel was just outstanding. Every effort was made to accommodate my needs and requests. Mr Patel went over and beyond supporting me with the Neurostimulator and was incredibly patient when it came to re-calibrating the device. I really have only the highest praise for the clinic and all the staff working there." 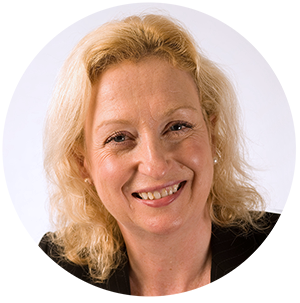 "Very happy with my consultations with Kathryn Paynter. I have found her to be very helpful and supportive." "The team at the Clinic is terrific, they are helping me a great deal and I would like to thank Kathryn in particular for the excellent work she is doing with me. They are very professional in their approach, knowledgeable, they explain things well and they listen. The team is exemplary in every aspect of their work. With their support I feel I am now back in control of my tinnitus and the negative impact it was having on my life has improved considerably." "Kathryn is always very friendly, polite, calm and puts one at ease. She is very patient when explaining anything and helpful answering questions. All in all a very nice person to deal with in what can be a very stressful situation."